"Let There Be Sound L.L.C. grew out of one man's passion..."
...A passion for unparalleled audio and video fidelity in the home. 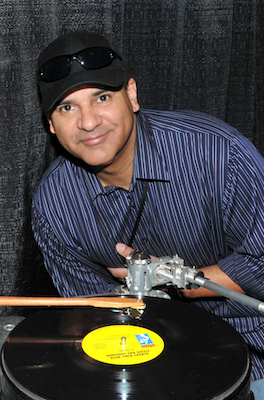 Oswaldo Martinez, owner and president of Let There Be Sound is an ardent music lover & seasoned audiophile with over 30 years of professional experience to his impressive resume. Oz, as he is widely known as in the industry, has lent his keen ears to a number of manufacturers’ listening panels, served as audio consultant to countless audiophiles/music lovers both in the U.S. and abroad, and written articles & reviews for notable publications such as Enjoythemusic.com (some of which can be found in the Recommended Links section of this website). Finally, there is a 10 year background as a freelance videographer, editor, and producer with his former company Ultimate VDO Productions. …a level above the competition! The Greater Miami/Hollywood cosmopolitan areas in the beautiful City of Weston.